The Apple Park spaceship campus has been under construction for the past five years. And now, a drone footage shows that it could be fully completed very soon. The aerial shots show the campus in all its metal and glass glory, and it looks like it is finally nearing completion, with only a few finishing touches and landscaping left to go. 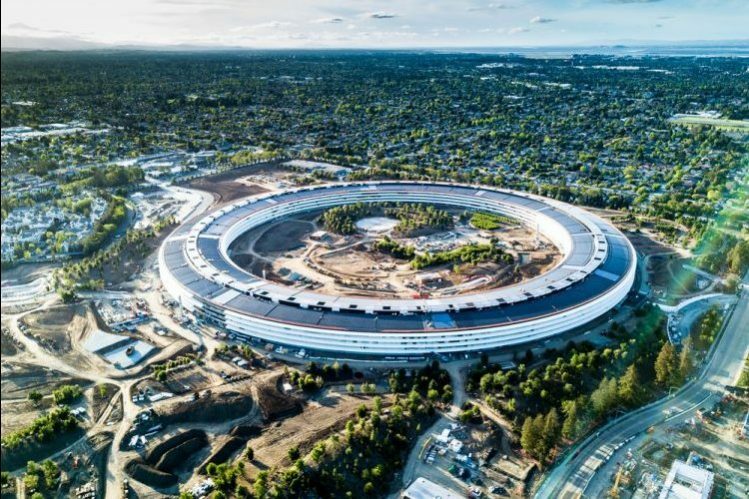 The latest aerial footage of the construction progress at the Apple Park has been shot by videographer Duncan Sinfield, who uploaded it to his YouTube channel. This update is part of his ongoing series, which has helped us see the Apple Park take its final form. If you didn’t know, all major construction work was completed long ago and Apple Park is now operational. It was opened back in April 2017 and the much-awaited iPhone X launch happened at the Steve Jobs Theater at this very location. As you can notice in the aerial footage, the green spaces inside the enormous circular structure is starting to get lush, but the exterior is still largely under development. The outskirts of Apple Park are still very barren, especially the areas around Apple Visitor Center that was opened to the public earlier in November last year. Note: Apple Visitor Center is a specially-designed on-campus Apple Store, which not only houses all of Cupertino’s products, but also has exclusive merchandise and souvenirs for sale. Another thing to note from the video is that only minor interior construction work remains to be completed. Most of the employees are already housed in this very building, which was first envisioned by co-founder Steve Jobs back in 2006, and it’s come to life after 12 years.